A good trading buddy commented about Double Confirmation or Additional Confirmation of a Trade Setup. It happened inside our Skype Live Trading Room. Our friend said, "I found a new confirmation to get in Fruit, I shall trade it for a few weeks and let you know of the outcome"
My response was "What! What "New confirmation"? He replied, "additional confirmation" and he said "it seems to be 70% in the right direction"
This is what a typical trader is after. 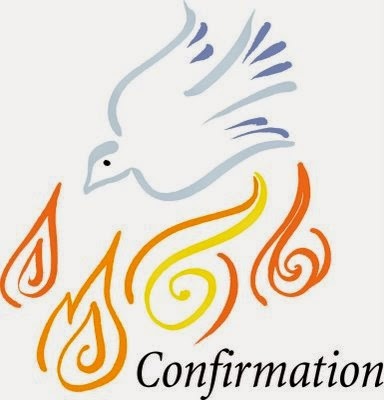 "double confirmation" A way to predict the future. The question is, how can you confirm something that is just there in front you. And how can you find clue in the now that will confirm the future? When a new trader looks for confirmation he's actually looking for a confirmation that the trade will be a winner. Lets e.g. you take a trade entry setup, e.g. A Fruit signal or an AIMS Stress Free Trading The Setup 1 entry signal, with all 3 rules checked and ticked off. How can you then tell that future will bring exactly what you want. That is the confirmation. The trade setup itself is the confirmation. What else can you add to it so that you can improve the rate of success? The more important question is do we really need to be right more time than we are wrong? Is it going to be a winning trade? So I said that if we look for additional Confirmations this would suggest that we have the mind set of novice traders who wants to "make sure that the next trade is a sure shot winner". Most traders don't possess what Mark Douglas calls Probabilistic Mind Set. And a big portion thinks they possess that mind set but in reality they don't yet fully understand it and so they are unable to apply it. A beginner is always trying to hit that next winning trade. And this "need to know the future" is the biggest problem. What is additional "confirmation"? I don't like the concept behind confirmation because Nothing can confirm "the future" and tell you the outcome of a trade entry signal. Be it AIMS The Fruit Signal or any other signal or entry mechanism. Is there a way to know the future? If these concepts are new to you prepare yourself for a complete turn around of your thought process. This is what we teach and share with you inside AIMS Forum. Successful traders "Think Differently". so I said, "You know that I don't give a s**t about how perfect the entry is? I place only 5% importance on entries? Because Trading is 80% in the mind. 10% is MM (Money management and position sizing strategies) and 5% exit, that leaves 5% for entries. So its 20% science. (the strategy i.e. a system rules pertaining to making entries, managing trades and exiting the trades) and 80% Art. AIMS is The Art of Trading Chaos!